Asbestos was commonly used in residential construction in Melbourne from 1940 to the late 1980’s. Roofing and exterior cladding were the common applications. 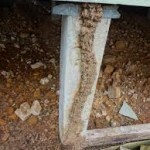 The featured photo is an asbestos roof. It is vital to understand that removal of materials containing asbestos is extremely dangerous and should only be undertaken by a licenced person. 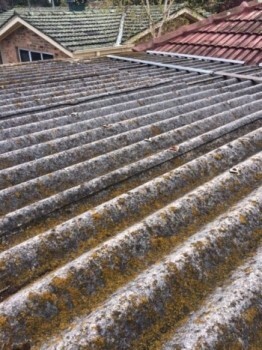 It is also important to know that standing on asbestos roofs such as the above is extremely dangerous, as often this product has become brittle and structurally inadequate. If you are considering a renovation or removing any products that may contain asbestos at your house, it is vital that you contact a suitably licenced asbestos professional to conduct a building inspection first. Contact us at Melbourne House Check here for more information on our house inspections in Melbourne or call us on 1300 729 352. You can view our Google plus post on this matter also. https://melbournehousecheck.com.au/site/wp-content/uploads/2014/12/17-e1417991881383.jpg 350 262 MHC https://melbournehousecheck.com.au/site/wp-content/uploads/2016/01/mhc_new_logo-1.png MHC2014-12-08 08:36:382014-12-17 09:52:03Asbestos in houses. Beware! 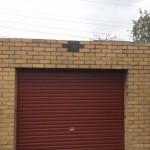 Brickwork above garage doors. Beware. Do ant caps prevent termites getting into my house?